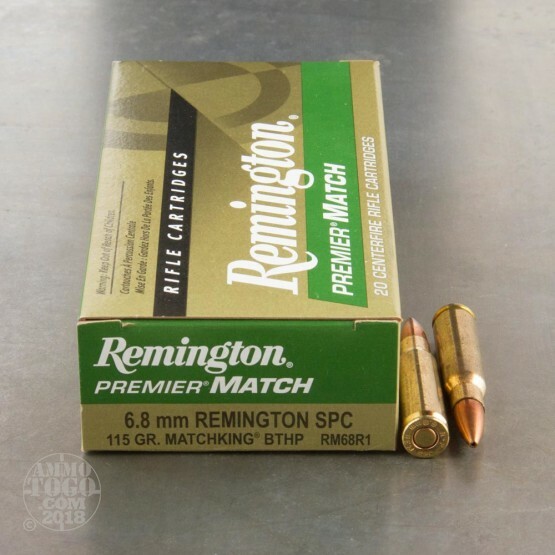 This is 6.8mm SPC Remington 115gr. 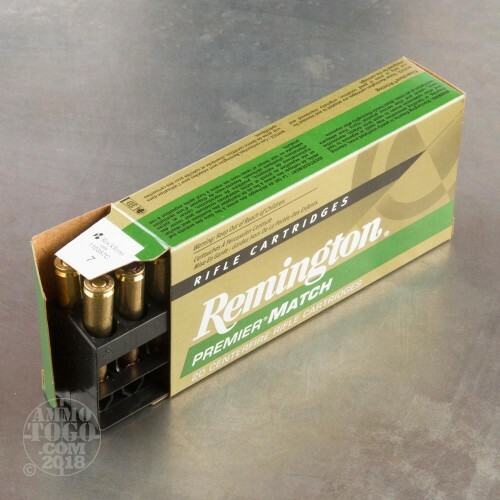 Premier Match Boat Tail Hollow Point Ammo. It is loaded with MatchKing Boattail Hollow Point Bullets. 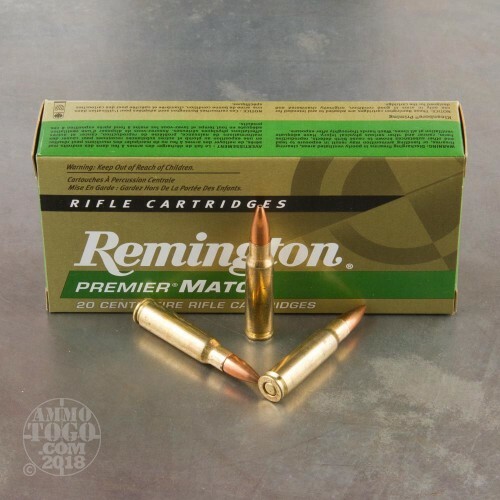 Ever hear the phrase, “you could drive tacks with ’em?” Well they’re probably talking about Remington Premier Match ammunition. 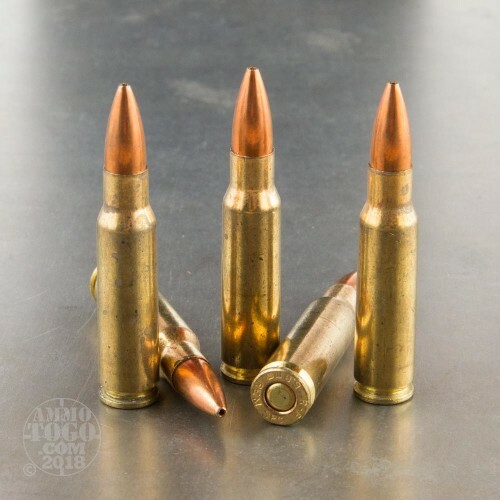 Using only match-grade bullets, Premier Match ammunition employs special loading practices to ensure world-class performance and accuracy with every shot. It is packed in 20rd. boxes, 200rds. per case.